Signs Visual prints custom signage and printed graphics for meetings in New York City. Our meeting room signage consists of a wide variety of specialty signs including foamboard signage, vinyl graphics, floor graphics, floor graphics, wall decor, easel signage, directional signs, and table signs. We can produce almost any type of sign for your conference, meeting or exhibition. 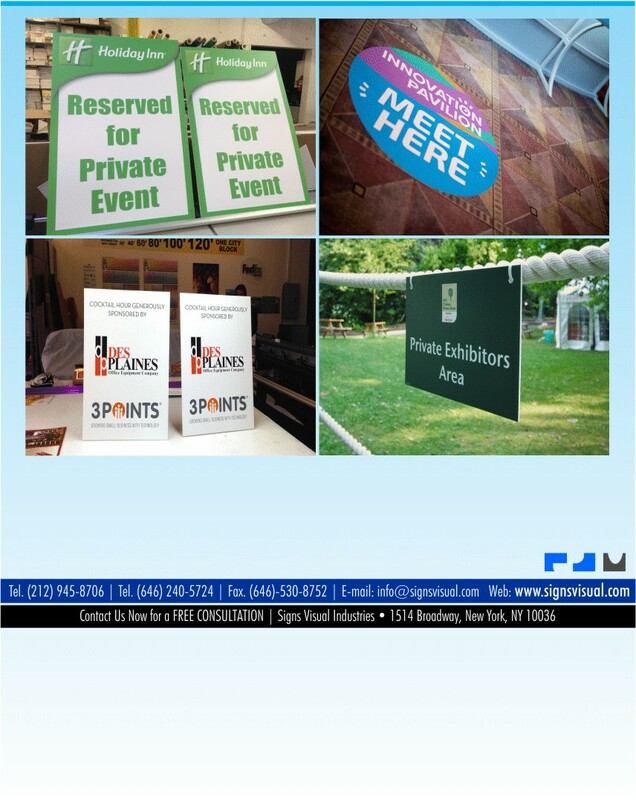 Contact us today for a free consultation on your next meeting expo signs in NYC.